RELATED: Can Tesla make electric truck work for trucking? “Our investment in these trucks is part of our commitment to improving road safety while also reducing our environmental impact,” FedEx Freight CEO Mike Ducker said. Tesla launched the Semi in November with a $150,000 base price for a tractor with a 300-mile range and an $180,000 base price for a version with a 500-mile range. Production is scheduled for 2019, and $20,000 is required to reserve a truck. That suggests FedEx put down $400,000 for its 20-truck order. 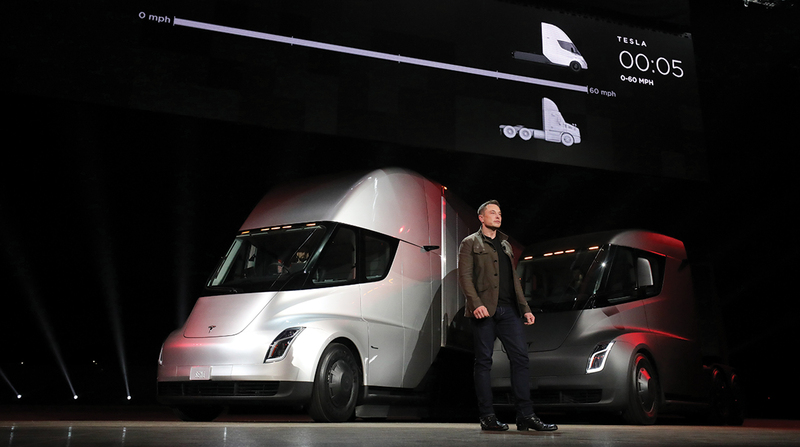 Tesla has said its truck will deliver a better experience for drivers, increase safety and provide $200,000 or more in fuel savings and a payback period of two years. The Semi features surround cameras and onboard sensors, automatic emergency braking, automatic lane keeping and lane departure warning. Fleet operators including J.B. Hunt Transport Services, NFI Industries and Bison Transport Inc,. and retailers Meijer and Loblaw Cos. confirmed that they have pre-ordered the truck or plan to do so. Logistics firm also have been interested. DHL Supply Chain ordered 10 trucks to test at customer facilities in major U.S. cities, and XPO Logistics reportedly was involved with testing the vehicle last year.